Château Carbonnieux red has for centuries been a great classic from the region of Bordeaux. With its high standard of quality, it is the smooth result of an excellent blending of grape varieties from this region. The vinification, both modern and traditional of red wines, is carried out by slow and gentle extraction in order to preserve the roundness of the wine and the mineral features of the soil. The tannins are well balanced and silky in harmony with red fruits (blackcurrant, blackberry, cherry…) and reveal toasted notes from ageing in the finest quality French oak barrels. Only the very best batches tasted are selected for the final blending of Château Carbonnieux red wines. 2016, Happiness for a winemaker. Vintages both exceptional in quality and generous in quantity are very rare. Yet 2016 is one of them. 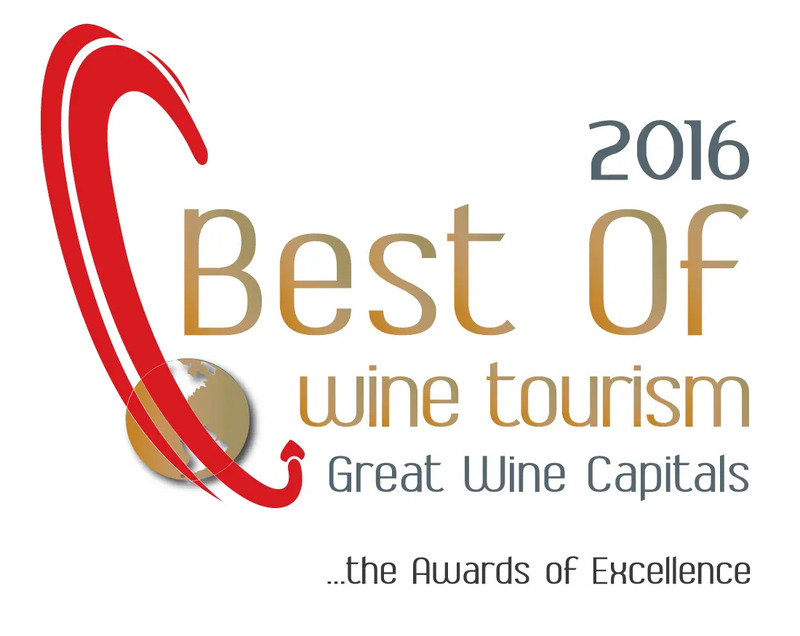 The fruit of excellent work every day together with weather full of good surprises, 2016 gave us a great harvest with, in addition, grapes of a remarkable quality. A perfect weather along the vegetative cycle allows 2015 to follow the ten-year legend for the marvellous vintages produced in years ending in “5". 2014, from doubt to certainty, a vintage saved by the sun god…. The climatic inversion between summer and autumn 2014 remains unique in the annals of Bordeaux and as winegrowers from the region we could only be filled with enthusiasm. The 2014 vintage was marked by early flowering and very slow ripening. All the aromas were preserved because of the cool summer and the impeccable quality of the harvesting produced a high flying vintage. The ripeness and structure of the 2014 reds have good prospects for excellent tasting and cellaring potential. 2013, unlike any previous year. A cold stormy spring, a very sunny summer and a late ripening of the grapes. Late harvests recalling the 80s or before. Extremely low yields (the lowest since 1991). 2013 gave the winegrowers cause for worry at the moment of flowering but a steady sun and lack of rain in the summer saved the vintage. More pickers were hired (30%) to speed up the picking and select the best grapes in the vineyard and in the vat cellar. Once our fears about the weather were over, this vintage turned out to be on a par with the great Bordeaux classics, like that of 2008, with fruitiness, structure and length. cold rainy periods alternating with warm dry moments but in the end things got back to normal. A vigorous vine tamed by early summer tasks. Development of grapes slowed down by low temperatures, but followed by practically no summer rainfall which made up for lost time and boosted the maturation and concentration processes. The Merlot Château Carbonnieux red wines have a fine deep intense colour while the Cabernet wines are fruity and full of character. The 2012 blending with a little Petit Verdot gave a vintage that is extremely pleasant and charming to drink when eating. Passing directly from winter to summer resulted in inhabitual early ripening and lovely flowering as early as mid-May. July and August not very sunny, indeed wet. 2011 vintage was not an easy vintage. It required extra supervision and real savoir faire on the part of the winegrower. However in spite of the unusual weather the white wines are astonishing and the red wines are great successes. The 2011 berries were small and rich in anthocyanins. Once again the good September weather was favourable towards the Cabernet-Sauvignon grapes and they were able to finish maturing slowly. After showering 2009 with praise, it was difficult to announce that 2010 was going to be even better. Today there is no doubt at all that 2010 has become part of the legend of the great Bordeaux vintages. An exceptionally dry summer with moderate hot spells played a large part in its crafting. Its deep colour, complexity and fruity intensity, freshness and tannic density allow you to imagine its enormous potential. A wine that can be kept for a very long time. 2009, a long awaited vintage. Remarkable flowering and a very good summer followed by dream harvesting when each variety and plot could be picked at their optimal oenological maturity. A great year for red wine, with both smoothness and complexity. 2008, the hallmark of the climate in Bordeaux. There are some years when the climate in Bordeaux is erratic because of the proximity to the ocean and 2008 was one of those years. Nothing to worry about. The vine is a wonderful plant that can adapt to all temperate climates if it is cared for by a good winegrower. A rather wet spring limited yields, the July drought maintained a favourable water stress and the freshness at the end of the summer preserved the aromas and guaranteed slow maturation. A very fine vintage in keeping with the great Bordeaux classics. 2007, Bordeaux plays its classics. The winter of 2007 was not very harsh and April was particularly warm causing the vines to take off very quickly without being early. Mixed weather lasted until the harvest which was blessed by a long sunny period. The Cabernet Sauvignon grapes are by far the winners of this vintage especially those picked a little late. A safe bet after cellaring for 6 years. This year was marked by cool spells interspersed with periods of such heat rarely experienced on our oceanic type 25th parallel. The harvest strategy played an important role in the result of this vintage. The major drawback for the 2006 vintage was to come after the 2005. In 2006 the red wines were still magnificent and had great aromatic complexity. We advise storing these wines in a cool dark place at a consistent temperature and humidity level. In spite of the care taken in the winemaking process, white wines remain more fragile than red wines. At the end of April 2017, an exceptional temperature drop caused damage in all the vineyards of France. Chateau Carbonnieux has not been spared by this frost episode despite its exposure on the top of a fine hillock. Mainly affected in the clay-limestone areas, the resulting yields are low but fortunately of very fine quality. At first nose, citrus and exotic fruit exhale. After stirring a slight vanilla aroma mingles with notes of Semillon, white peach, hazelnut and dry apricot. The attack on the palate is smooth and round. A harmonious balance of sweetness and acidity brings volume in mid palate. The finish is long, delectable and complex. The "Carbonnieux style" is well and truly here! The aromatic palette is complete, ranging from citrus fruit to white-fleshed fruit, apricot and a slight touch of vanilla. The attack is greedy with a delightful lemon freshness. Fullness and length in the mouth complete the qualities of this "magic" vintage. From the very first tastings of the blending, the distinct homogeneity of the batches was striking. It is the Sauvignon vintage par excellence with a mineral quality that would make our friends from Sancerre jealous! The conditions for the 2013 vintage, like most all late vintages were favourable for the production of an excellent white wine. The Sauvignon batches are full of character, notably those planted on limestone soil giving a fine mineral quality. The length on the palate is remarkable. Cold rainy periods alternating with warm dry moments. A vigorous vine tamed by early summer tasks. Development of grapes slowed down by low temperatures, but followed by practically no summer rainfall which made up for lost time and boosted the maturation and concentration processes. The characteristic of the white vintage is marked by volume on the palate and a generous structure. We find the essential aromatic characteristics of the Sauvignon (box wood and citrus fruits) without being caricatural. Semillon batches were particularly tasty with a hint of apricot and volume on the palate. The coolness that came at the time of the maturing of the white grapes determined the fine acidity and aromatic freshness of the 2011 Sauvignon and Semillon wines. The white wine is bursting with fruit and is remarkably suave, even more vibrant than the 2009 vintage. An excellent vintage for Semillon grapes, powerful and flavoursome. Splendid. The Sauvignon grapes, sweet, acidic and fruity, the Semillon grapes of exceptional roundness. The sweet, acidic and extremely aromatic Semillon and Sauvignon grapes showed once again that cool summers are good for white wines. The 2006 white wines have great mineral and fruity qualities, dense and sophisticated. The La Croix de Carbonnieux wines are a tribute to the Benedictine monks from the Sainte Croix Abbey in Bordeaux who owned the property in the 13th and 18th centuries. The monks, great wine-makers gave Carbonnieux its international reputation and a push towards modernity. 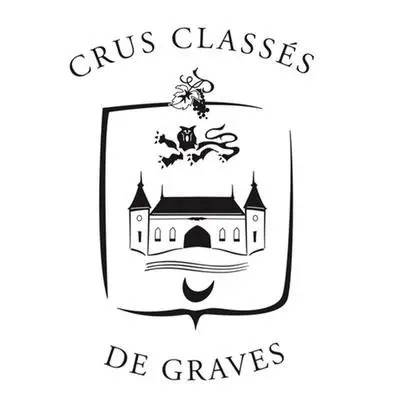 Their emblem, the “S” around the Sainte Croix, punctuates the Château landscape in various places and seals on our bottles the trace of their passing in the long history of the estate. Crafted from selections of Château Carbonnieux Cru Classé, the red and white wines from La Croix de Carbonnieux are second wines made with all the care devoted to a grand cru. has a fine ruby colour and a nose of red fruits with that smoky touch in the wines from Léognan that is so pleasant on the palate. A little less powerful than Carbonnieux and greatly appreciated in gastronomy it can be drunk young and lends itself to a large choice of wine and food pairings. Cellaring advice : Best enjoyed around 5 years old. has a pale yellow colour typical of our varieties and a freshness subtly impregnated with aromas of exotic fruits and grapefruit. These wines benefit greatly from the wonderful minerality characteristic of Carbonnieux and the Pessac-Léognan soil. The white Croix de Carbonnieux is a wine for Epicureans. Cellaring advice : Best enjoyed around 3 years old. The wines from Château Tour Léognan are blended from the young Château Carbonnieux vines (under 12 years old) using the same vine-growing and winemaking methods. During their first years of production the replanted young vines produce delicious, full-flavoured wines although a little less rich in aromas. They are decidedly very pleasant and easy to drink when young. is a blend of Cabernet Sauvignon and Merlot defined by its combination of power and finesse. It is full-bodied, fruity and slightly oaky indeed subtly charred (toasted) as we have come to appreciate in the wines from this terroir. is a wine for pleasure, a blend characterized by the Sauvignon which confers on it a dynamic blend of citrus notes and a full and elegant palate, all well balanced by the round, rich texture of the Semillon.